Here at Videvo, we’re all about free stuff. Whilst we already offer you guys a library of royalty free music and royalty free sound effects (a lot of which is free) we realise we can’t do it all and that there may be things you can’t find on Videvo alone. Therefore, we’ve put together a list of our favourite websites that offer completely free stock music and sound effects for you to use in your own projects… because we’re nice like that. We have tried and tested all these websites and they are legitimate, 100% free and legal to use. However, please note that the usage rights vary — for example you may have to credit the original author in your production, so please read between the lines. It’s also worth noting that many people believe that because it is free, the quality is poor. This is not the case here — we’ve really tried to cut the wheat from the chaff, which hopefully means you’ll spend less time sifting through low quality audio samples. So, drumroll please. Here are 7 great websites to for all your free stock audio needs. What can we say about soundfxnow.com — we love it. As the name suggests almost everything on the site is sound effects (with the exception of a few short jingles) all available to download for free and use in any project, and no complicated licenses. With sounds ranging from game-show sounds, to insects and animals, this is an essential tool for any filmmaker. Freestockmusic.com is a great resource if you’re looking for music to add to your productions — everything on the site is free to download, and features some of the same music that is added to the popular stock video site, Videoblocks. Each clip comes with a royalty-free license, allowing you to use the music files you download in productions worldwide, forever. Pretty sweet deal. Just last month, YouTube announced the launch of this little gem. This section of YouTube offers an impressive range of music tracks to use for any production, and yes all for free. Currently the site boasts 150 tracks in genres ranging from classical to rock. This is a great no-fuss option if you’re looking for quality on a budget. Another sound effects site for you. The guys at PacDV have put together a large collection of sound effects to download for free. It is recommended that you credit PackDV in any derivative works, but this is not compulsory. We are a big fan of the sound effects section, but there are also a few short music tracks on there too, so definitely worth taking a look. Here’s one for all you students out there. Freeplaymusic.com offers a huge variety of audio clips for free download (at the time of writing this over 15000). However, clips are only free for educational purposes, so this is a great option if you’re a student and putting together a video for a college project, not so good if you’re doing it commercially though. This is another great site for you music fans. FMA is directed by WFMU, a renowned freeform radio station in America. The huge library of high quality music offers a range of styles from artists all over the world, with the majority of clips holding a Creative Commons 3.0 License, which means you must credit the artist in your production. You can also tip the artist, which sends a direct payment to their PayPal account, which is recommended by not essential. Audionautix.com is run by Jason Shaw, a composer an engineer that produces all the tracks you’ll find on this great site. The work is licensed under the Creative Commons 3.0 license, which again means you must credit Audionautix.com in any derivative works — license information can be found in the footer of the website. You can also donate money to Jason via PayPal, which we recommend. So there you have it. 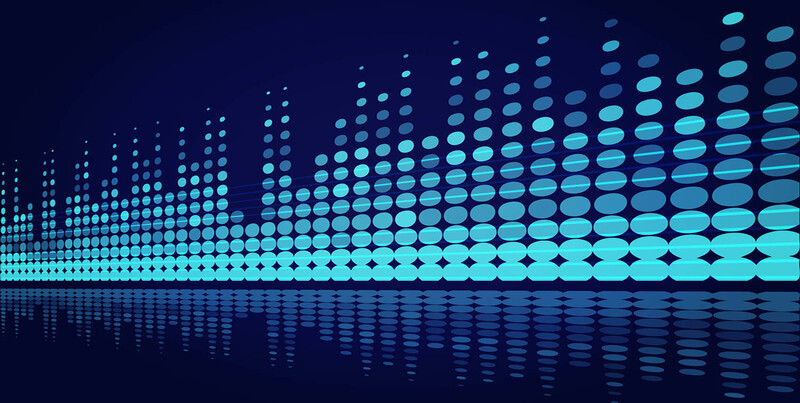 7 fantastic resources of free stock music and sound effects to use in your own projects. Just a final thought – some of the resources above have been put together by independent artists with a lot of effort, care and attention to detail. So, if you find yourself using any of their material then please credit them, even if it’s not required. By doing so you are helping to spread the word about their efforts and promoting their service, which can only be a good thing. And you’ll feel great for doing so.